Study and understanding this 'miracle', the human mind is a fascinating area. Analytical Psychology is such a branch that deals with it and the foundation of this study was established by Carl Gustav Jung (July 26, 1875 – June 6, 1961). Carl Jung was one of the creators of modern depth psychology, which seeks to facilitate a conversation with the unconscious energies which move through each of us. He had a deep appreciation of our creative life and considered spirituality a central part of the human journey. His method of interpretation of symbolic expression not only deepens our understanding of personal material, opening the psychodynamics of our personal biographies and dreams, but the deeper, collective patterns which develop within culture as well. Jung also emphasized the importance of balance. He cautioned that modern humans rely too heavily on science and logic and would benefit from integrating spirituality and appreciation of the unconscious realm. 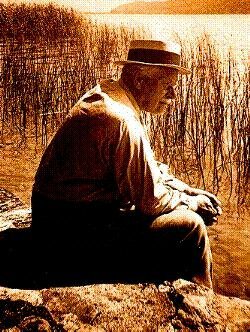 Philamon Foundation is a resourceful website that is working to publish the complete work of Carl Jung. The Guild of Analytical Psychology and Spirituality has some of the very interesting articles that you may like to explore. :: Understanding the symbology of archetype is another area that one may look into to explore the deeper meanings of symbols and expressions.